A roundup of PRWeek at Cannes and nine top tips for getting the best out of the annual festival of creativity. Yes, it’s the time of year again when I annoy my colleagues by droning on — even more than usual — about the delights of Cannes, which starts in just over two weeks on the beautiful Cote d’Azur in the south of France. This year, PRWeek and our parent company Haymarket Media are really doubling down on our Cannes offerings. We will have a double cabana situated conveniently near the steps of the Palais des Festivals that will act as the principal gathering point for PR and communications pros visiting Cannes. Dubbed the Haymarket Hive, it is also playing host to guests from our sister brands Campaign, Medical Marketing & Media, and DMN. You can enjoy our range of content sessions, attend our big party on Tuesday evening after the PR Lions have been handed out (8:30-11:00pm), or just drop by to take a break, network, power up your phone, or have a drink. PRWeek is running three excellent panel sessions with our content partners BlueFocus (‘Unleashing the Power of Social Commerce’ - Monday June 20), Kwittken (‘Complete Control meets Mass Disruption’ - Tuesday 21), and Ogilvy PR (‘Earned Influence and the Power of Integration’ - Wednesday 22) — they are all open to the public, but you must register here as space is limited. In addition, we will have a Cabana Happy Hour on Monday from 5:00-6:00pm, a Refresh & Reload session on Tuesday from 4:00-5:00pm, featuring PR Lions juror Erin Gentry from Hill+Knowlton Strategies, and a morning Fun Run led by Ironman Aaron Kwittken on Wednesday morning at 8:00am (I’ll wave to you all on my way back from the Gutter Bar). Later on Wednesday morning, at 11:00am, I’ll be moderating an ‘Insights from the Jury’ session at the ICCO Cabana, which will give you a chance to discuss the winning work and quiz the jurors on their choices. Read the PRWeek Cannes preview featuring valuable insights from the PR Lions Jury Chair, Edelman’s John Clinton, and other Cannes veterans. And this oldie but goodie is full of practical tips from our cousins across the pond - parental advisory, not a read for the faint-hearted. If you haven’t already booked your accommodation, you are in trouble. Make sure you are close to La Croisette and have good WiFi, even if the room is a little basic. The ability to nip back mid-afternoon to change, shower, or just tune out for an hour should not be underestimated. Pack light clothing and comfortable footwear. You will be doing a lot of walking in very hot weather and you definitely don’t need to bring that woolen suit. Bring sun cream and a hat, especially if you are follicly challenged like I am. If you look at some of the videos I shot last year you will see that I didn’t apply and that my head got progressively redder as the week wore on. Not a good look. Be discreet. The warm Cote d’Azur weather, a few glasses of Domain Ott rose, and bevies of beautiful people can be a heady concoction, but that doesn’t mean you have to advertise your crazy nights out to all concerned. Nothing wrong in having a bit of fun, but this is a work event after all. Don’t just focus on the PR Lions — the nature of modern communications and marketing means there is plenty of relevant work in lots of the categories. 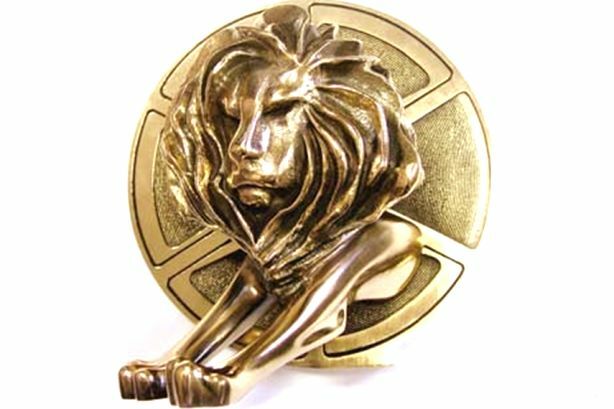 I know many PR firms have targeted multiple categories with entries this year and are not just concentrating on the PR Lions, important though they of course are. If you’re stuck back at home and have already grown heartily sick of the gloating pics of people enjoying themselves on La Croisette, organize your own Cannes-style fun locally. Outbrain, Ogilvy, and MediaLink have teamed up to organize an afternoon on the Hudson River on a yacht on Thursday, June 23 so you can be "transported to the South of France" from New York City for the afternoon. You won’t miss any of the action anyway, with PRWeek’s comprehensive coverage of events, trends, and winning work. As a taster, here’s what we did last year. Last but not least, enjoy the experience, soak up the knowledge and wisdom of the creative minds you will meet, and reflect that life isn’t so bad after all. See you at the Haymarket Hive on La Croisette!